I always like to have a special drink for our guests when we entertain. Recently, we had some good friends over for dinner before the four of us went to see a musical being performed at our neighborhood playhouse. We saw The 25th Annual Putnam Country Spelling Bee. Mr. Right and I saw it in New York City a while back and enjoyed seeing it again. It’s really cute, poignant, and funny all at the same time. 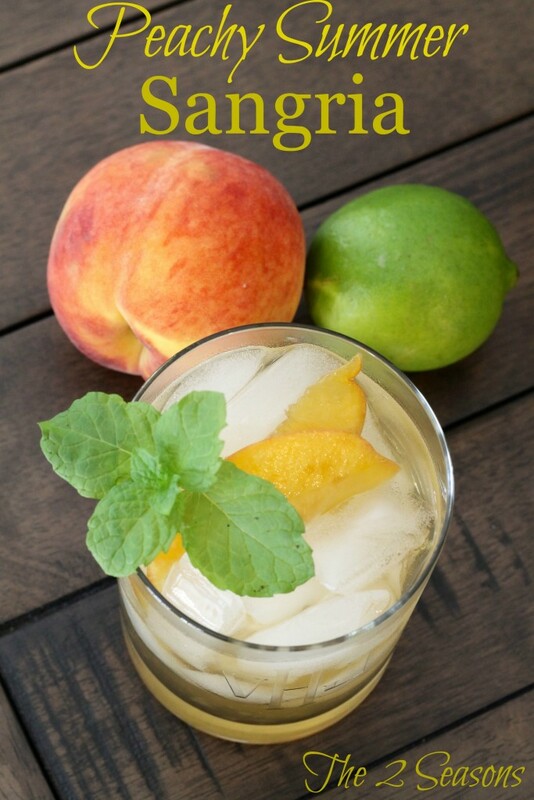 The drink I mixed up for us was a peachy summer sangria, and I found the recipe in the Chevy Chaser, a monthly magazine published for residents in our neighborhood. 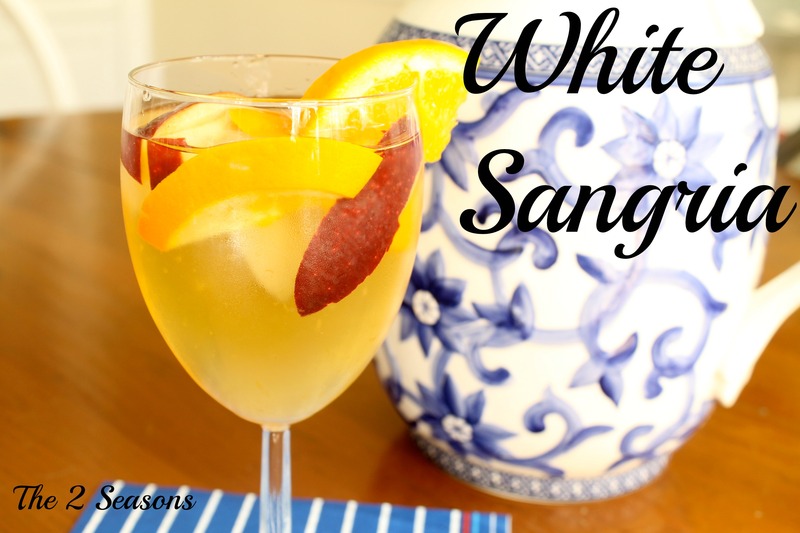 Both men and women like sangria, and I hoped it would be a hit, and it was. Cut all fruits and add to a large pitcher. Lightly muddle to release the oils from the fruit. Add wine, orange liqueur, sugar, and bourbon. 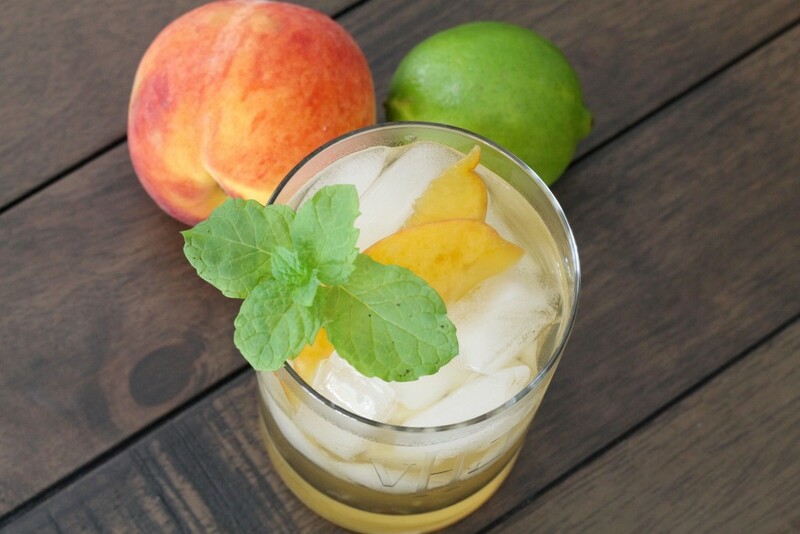 When ready to serve, add ice to glass, fill with sangria and a few slices of marinated fruit, then top with a splash of club soda and mint. Sangria is great with any meal. 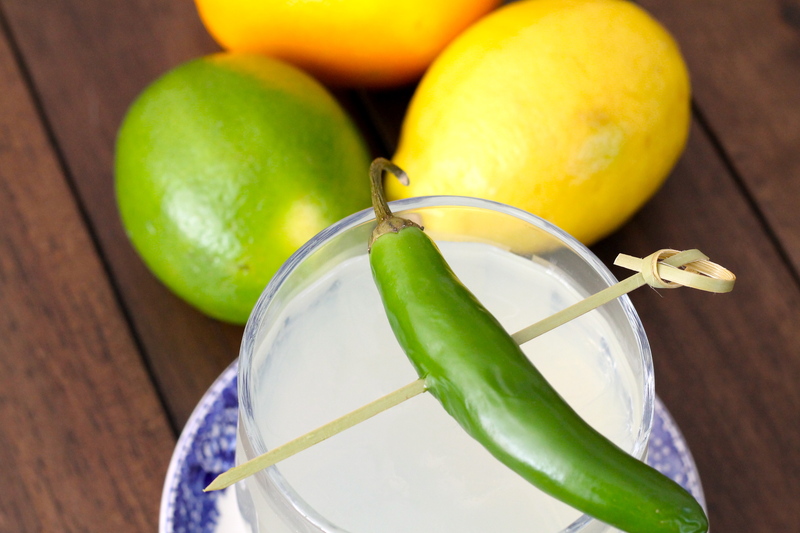 It doesn’t need to be served with a Mexican feast. Since we were having a quick meal before the play, I served beef barbeque, spicy Asian slaw, corn and tomato salad, and homemade chocolate pudding for dessert. We all loved it. One year ago yesterday, we signed the final papers & sold our house in Lexington. We had been there since 1988 so we left with heavy hearts. I enjoy reading your blog when I’m feeling “homesick”, your recipes & decorating tips, travel adventures & especially Little Miss! Can’t wait to see her sweet face. Now that I’ve gone all fan girl, have a great week-end!! Kathy, Lexington would be hard to leave. I hope you are enjoying your new city.